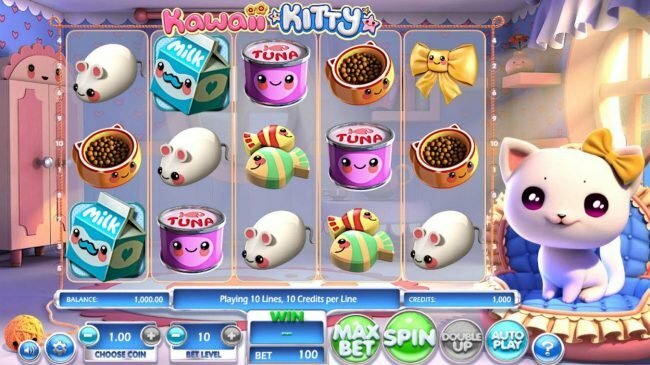 Review the Free no download Kawaii Kitty online slot designed by Bet Soft software with 10 lines and 5 game reels. 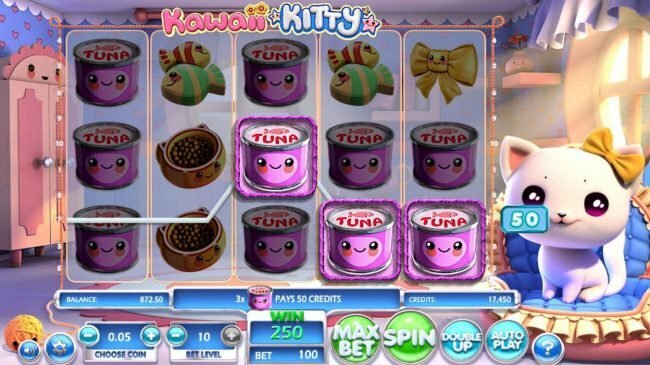 Kawaii Kitty Slots 4 out of 5 based on 3 ratings. 3 user reviews. 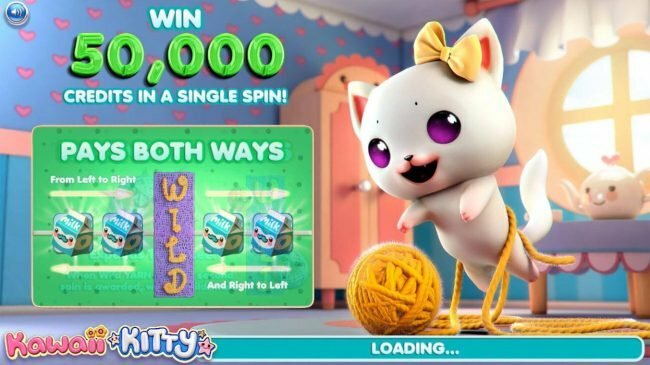 Enjoy the simple, cuddly lifestyle of a newborn kitten in Kawaii Kitty, a 5 reel and 10 payline Slot designed by betsoft. In this slot lies only wild substitutes. There is also a hidden jackpot worth $500,000.00. Betsoft continually impresses its fan base with the illustrations it displays via the background & reels. Small chairs, the glistening sunlight, toy boxes, flower pots and balls of yarn can be seen in the background. Milk, a hairbrush, a mouse toy, fish toys, ribbons, tuna and cat food, are the available icons on the reels. The background & reels culminate in an immersive environment that punters get lost into. Before the reels can be spun, a wager must be placed. 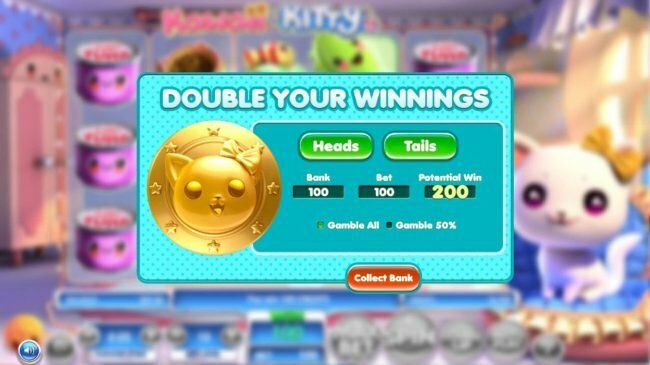 In this slot, there are two choices to be made, coin selection and paylines to be active. Coins range in size from $0.01 to $1.00, with bet ranges between $0.10 and $100.00. The first feature available to be triggered is the expanding wilds. 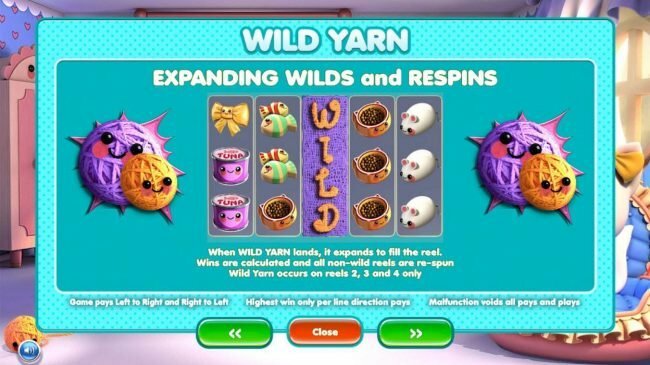 This feature is portrayed by the ball of purple yarn, when this icon is displayed on the second, third or fourth reels with a connected winning line then that wild will expand over the triggering reel. This will cause for all icons to be substituted and all possible payouts to be awarded. 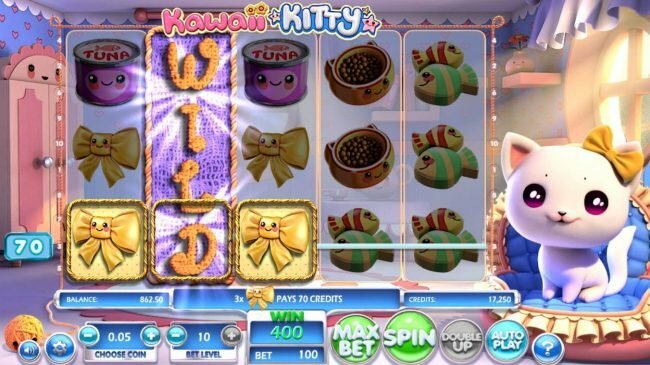 Kawaii Kitty, it’s a game that just doesn’t have you saying awe every spin or wishing you had a cat of your own but its also a slot that makes you feel excited as there are so many possible payout scenarios. The end result of this game is when the theme & gameplay meet one another as it creates an excellent combination of fun and excitement. 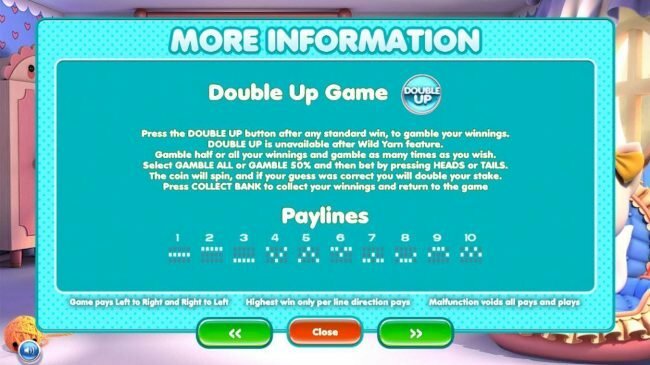 Do not use more than one no deposit bonus back to back at Gossip Slots as they may not pay you for violating the rules. Antigua and Barbuda, China, Israel, Nigeria, Pakistan, Sierra Leone, Somalia and Sudan countries are restricted at Gossip slots casino. This one is for females who maybe have a little girl. 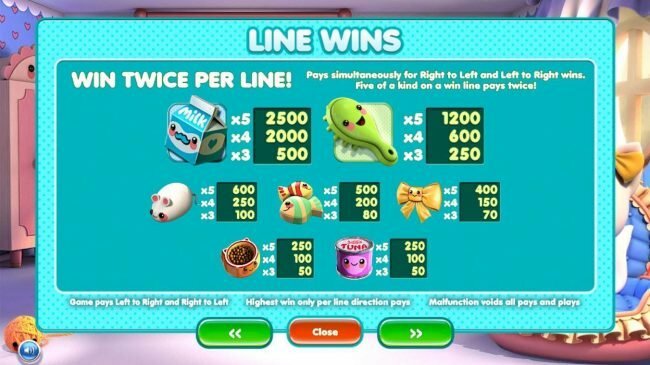 Cute graphics, Love the yarn feature and that it pays from both sides, however payouts could have been better. a little slow but fun graphics did not have any luck on it tho.